This Business Card Holder is an Economical Way To Present Magazines and Business Cards Simultaneously! 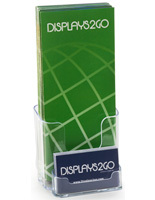 A Business Card Display, Magazine Holder Combination Is An Outstanding Promotional Tool. Buy Now! This business card holder is a real space-saver. The business card holder, also known as a literature display, features a magazine pocket and business card display in one. With this business card holder, you can display "take one" publications to customers, while encouraging customers to grab a business card for more information at the same time. 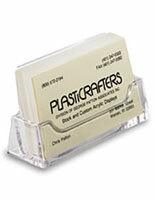 Fabricated from clear plastic, this business card holder can be used in almost any environment. This business card holder is best used in offices, car dealership centers, travel agencies, financial institutes and information centers. 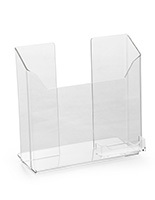 The clear finish of this promotional holder also provides maximum visibility of the displayed literature to your customers and patrons. 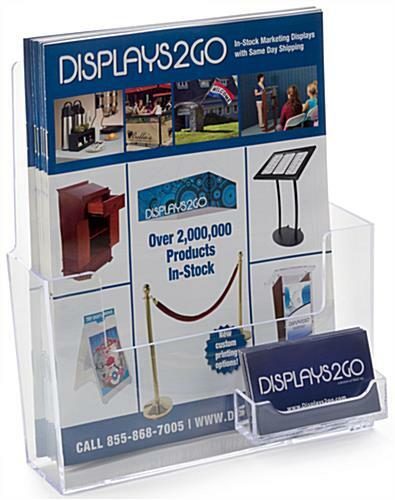 Business card holders, like literature displays and card cases, turn your advertisements into a silent sales force. 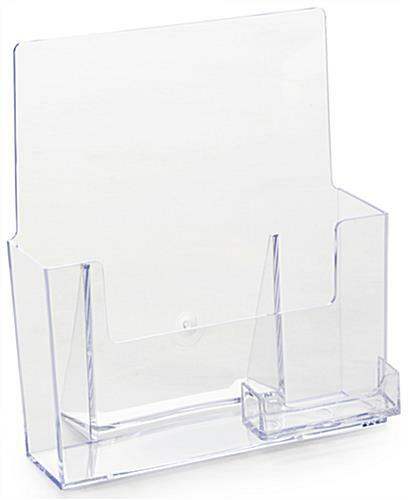 Place this magazine holder on any countertop or desktop area to attract customer attention. 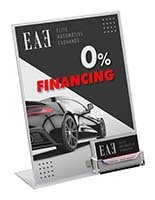 This marketing display offers a very cost-effective way to highlight on-going promotions, special sales, company information or monthly magazines. We sell combination desktop accessories in an assortment of sizes and designs as well. Present your printed materials in style with this office supply product. 9.3" x 9.6" x 4.8"
3.8" x 2.5" x 0.75"
8.9" x 9.6" x 1.8"